Gerber leads the pack in quality,style and total commitment to serving the plumbing professional. With constant renewal through innovative new products, they have proven themselves to be one of the most respected brands in the plumbing industry. Avalanche and Viper have been engineered and rigorously tested by our research and development team. These models, featuring Gerber's exclusive HP2 and XP3 flushing technologies, push the boundaries to set higher standards for flushing performance within their respective categories. Together with Ultra Flush and Maxwell, Gerber's complete line of toilets provides plumbing professionals and consumers with an industry-leading range of choices in performance, style and price. Gerber 1 Piece Toilets are sleek and available with pressure assist and gravity fed tanks. Gerber 2 Piece Toilets are more common and are available with pressure assist and gravity fed tanks. Shop our selection of Gerber bidets today! Shop our selection of Gerber toilets by collection today! Shop our selection of Gerber compact elongated toilet bowls today! Shop our selection of Gerber Concealed Trapway Toilets today! 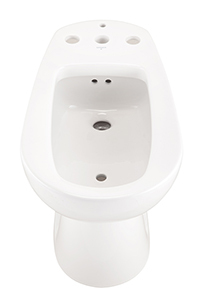 Shop our selection of Gerber elongated toilet bowls today! Shop our selection of Gerber ErgoHeight™️ toilet bowls today! Shop our selection of Gerber round-front toilet bowls today! Shop our selection of Gerber toilet bowls today! Shop our selection of Gerber toilet seats today! Shop our selection of Gerber toilet tank lids today! Shop our selection of Gerber toilet tanks today!